Childhood obesity is something that children shouldn't ever have to face. Since the beginning of 365 Molly has been watching, doing and learning. 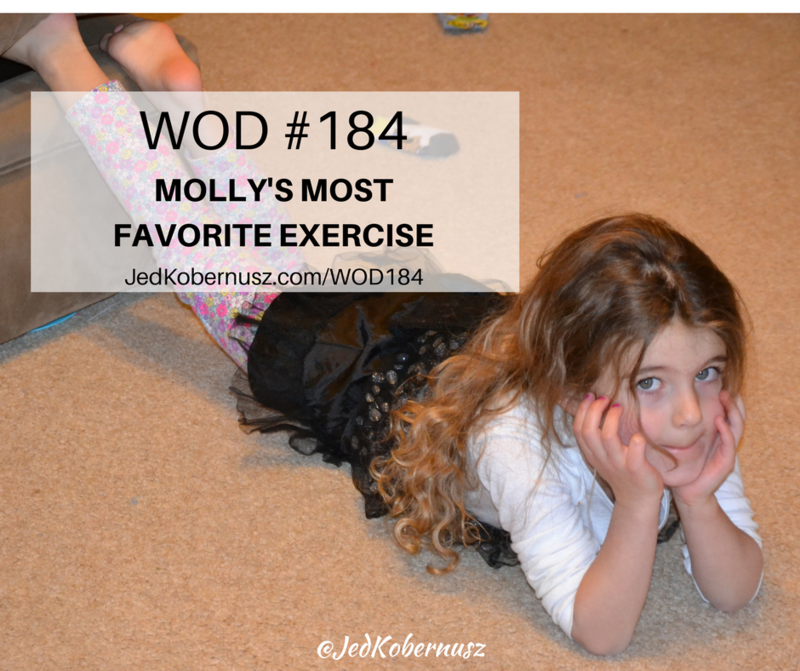 Mollys most favorite exercise is incorporated in WOD #184. In the beginning of this 365 journey I didn't even realize what kind of impression I was making my own children. The reason I started all of this is because I simply wanted to help parents out. Then, it became bigger than that. Mollys most favorite exercise is push-ups. 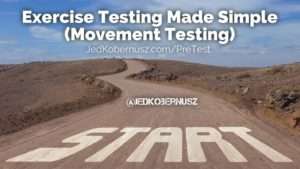 While most people THINK they can't do a push-up, they are pretty surprised at the assessment (Initial Assessments are where I start EVERY one and they are FREE). A push-up is one of the most effective ways to assess your total body strength and endurance. 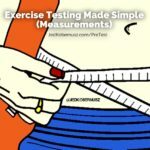 As a result of the media telling us that weights and cardio are the BEST ways to lose weight, we comply. It's crazy to me to think that we STAT by loading our bodies with weight and expect that we are able to move it without injury. The whole concept of body weight movements uses something that you have without ALL the time… Body Weight. When you're doing a body weight movement like push-ups you will know right away if you can one more or stop where you're at. When you load your body with weights you won't know until it's too late. In the spirit of DIY we all try to find the “best” way to do things with minimal cost. Well that's why I've created each WOD. As an Exercise Physiologist I strive to provide the highest value for the most minimal cost… AKA NO cost at all. 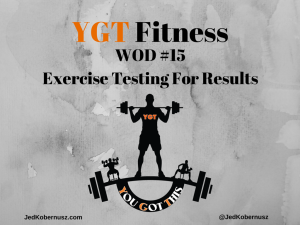 I simply ask if you are part of the #Kobernation and have found value since WOD #1 you share each WOD you complete to your social media site of choice and consider donating maybe a buck or two when you complete a WOD. That's anywhere from $150-$600 a week. Can you imagine spending that kind of money? Some people can and DO and I'm grateful for them. For those who can't imagine spending that kind of money I put every WOD on the Cheat Sheet. Setting an example for either your children or those around you is important because we are all they have to go off of within the first 5-10 years of their lives. I am very proud of both my children and love that Mollys most favorite exercise is push-ups. 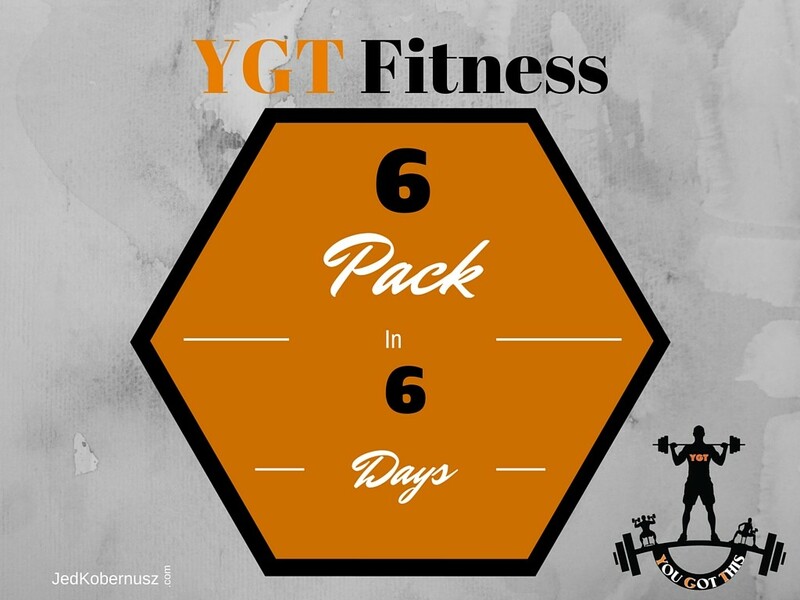 If you enjoyed this post about Mollys Most Favorite Exercise , retweet and comment below what was most noteworthy please. 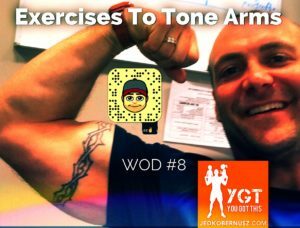 Today's WOD (Workout Of The Day) is for those who want a few different exercises to tone arms, upper body, and core. How do I tone my arms ??? Always warm up with cardio exercises for 5 minutes of high knees or go for a walk. Do as many rounds up to 5 as you can. If you don't get all 5 finished that is no big deal! Grab your journal or sen yourself an email with what you DID DO! In a few weeks come back and try this WOD again. Dare I say it WILL be better, if and only if, you DO something 5/7 days a week! Let me know how many rounds you completed below in the comments. Thank you for letting me help you on your journey!